A few weeks ago someone suggested I look for family PJs for Christmas for a cute photo opp. 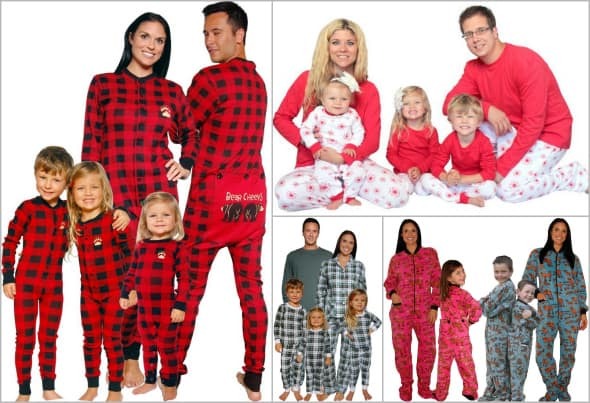 I began a quest to find all the great places to find matching family pajamas for Christmas. It turns out there are a few great stores! Note from Marybeth: This post was originally published in 2013. 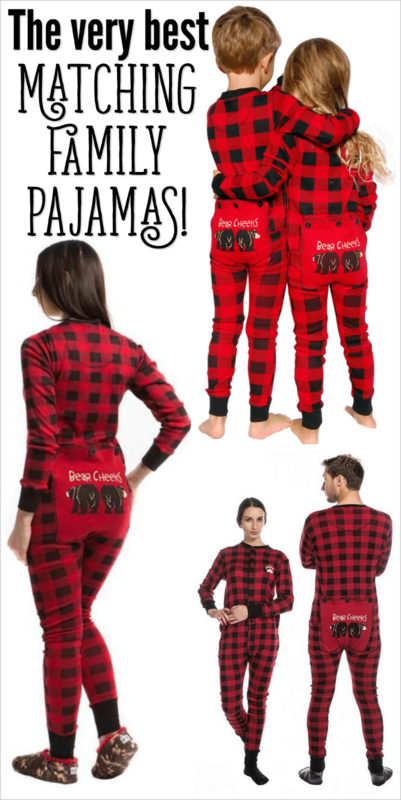 I'm sharing it again because family Christmas pajamas are so cute, the quality is amazing and many of the styles (including matching family footie pajamas) I wrote about are still available! I also want to say that the quality of the matching footed pajamas Haiden and Piper wore last year remained in almost-new condition, even after months of heavy use. We're in Minnesota, so we have a long season for warm pajamas! Im actually surprised at how soft and fluffy they still are. Even the bottoms of the pajama feet are in good shape! 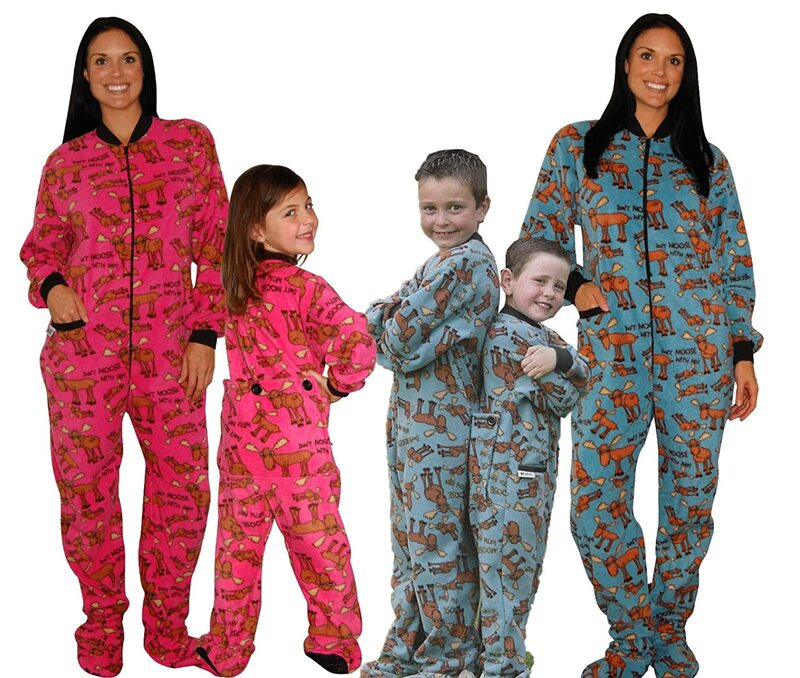 PajamaMania was also nice enough to send us matching family pajamas–but just for the kids in our family. My husband and I just aren't brave enough to model funny adult footed pajamas (and put those pictures online forever)! When I was picking out the style of family Christmas pajamas that I wanted my kids to model, I was so excited about that flap in the back of both pairs of pajamas. Of course, they don't actually use the flap, but it is so dang cute and both Haiden and Piper think it's hilarious! While I love that these matching family pajamas are absolutely adorable, it's even better that they're well-made and feel great. 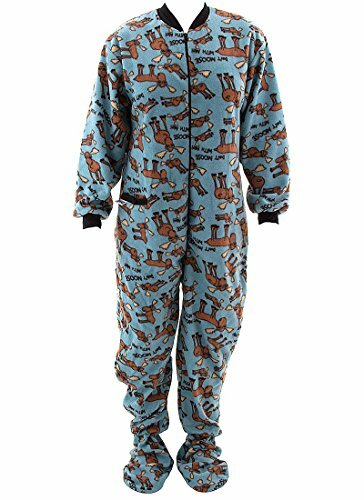 One thing that drives me crazy about some fleece footie pajamas is that look and feel great right out of the package, but they look terrible and don't feel soft after being washed even once. These PajamaMania Family pajamas are so much better than that! They were super-plush and thick right out of the package. I've washed them a few times since they've worn them in the picture above and they look just as good as they did the first day. Note: as I stated in the update above, we live in Minnesota so there's an extended need for warm pajamas. Haiden and Piper both wore their pajamas from PajamaMania.com for the better part of the year. They're still in excellent condition! The knees and feet aren't worn out, and they're just as fluffy as they were months ago. 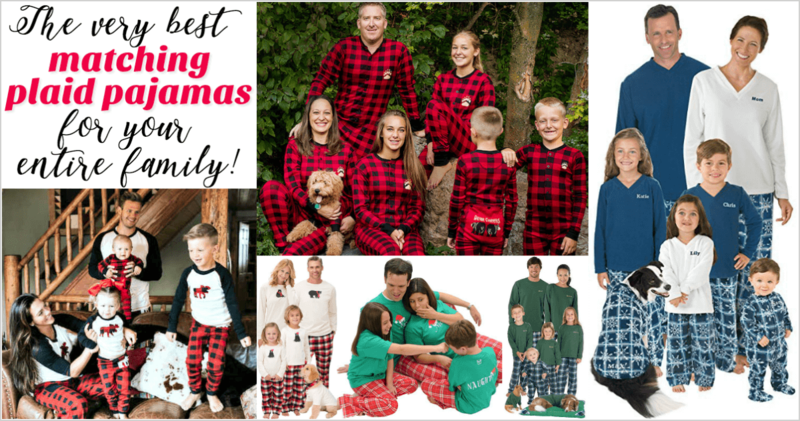 If you're looking for family Christmas pajamas in a matching or coordinating style, be sure to check out PajamaMania for sizes ranging from infant to 3x! If you're ordering and you want a promo code to save money or get free shipping be sure to check out all my PajamaMania.com promo codes! 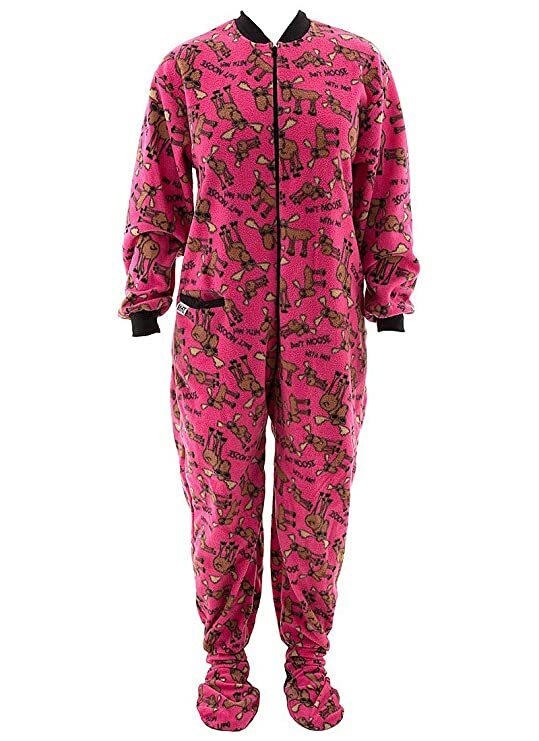 As it turns out, PajamaMania.com has limited sizes of the Lazy One Don't Moose pajamas. I've found them in all sizes on Amazon, so be sure to check these links for your sizes if they're not in stock at the above links. Related: See more family Christmas PJs! Disclosure: PajamaMania provided the pajamas used to facilitate this review of family PJs for Christmas. I was not paid and all stated opinions are honest and authentic.